Star Wars Celebration is in full swing and many of the companies we love to collect are there. * Bandai / Bluefin / Tamashii Nations is among them and they have a display of action figure photography featuring their Star Wars Movie Realization line. 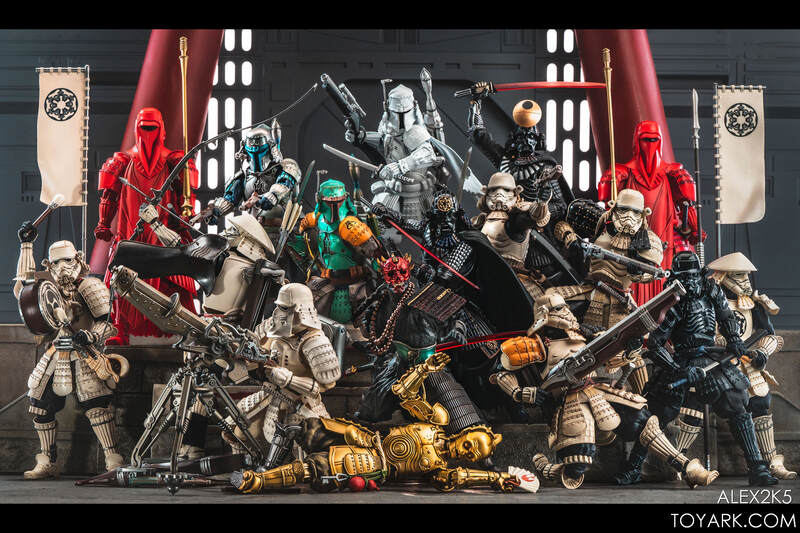 * This is the line where Japanese Feudal Warriors like Samurai are merged with Star Wars lore for a completely unique alternate universe range of figures. I was fortunate enough to be asked to contribute to this display again, I did so back in 2017 as well. * I wanted to share the full resolution version of the &#187; Continue Reading. The post Tamashii Nations Movie Realization Celebration 2019 Display – HD Pics of Our Shots! appeared first on The Toyark - News.